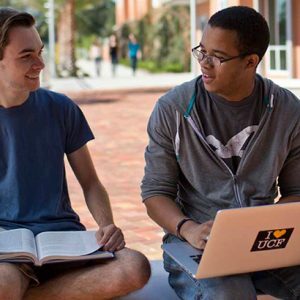 UCF Coding Boot Camp covers the most in-demand skills needed for front-end and back-end web development through live, hands-on classes. 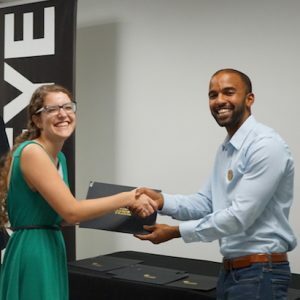 UCF Data Analytics and Visualization Boot Camp prepares individuals with the specialized skills necessary for the booming field of data analytics. The University of Central Florida, located in Orlando, Florida, is the nation’s second-largest university in the US with 210 degree programs to choose from. University of Central Florida is ranked in the top 15 for most innovative schools in the country by US News and World Report, a best-value university by The Princeton Review and Kiplinger’s, and one of the nation’s most affordable colleges by Forbes. Why Get Skills-Based Training at UCF? Our classes get students ready with the in-demand skills they need to advance or start a career in coding or data analytics. We combine an in-person classroom experience with dynamic curricula taught by experienced instructors. With extensive student support and a wide array of resources, we provide an education that will help you find a path to success. Students build a diverse portfolio of web applications and projects that demonstrate their knowledge. Both of our programs offer convenient part-time schedules for adult students who wish to stay at their current job while learning valuable new coding skills or data analytics skills. Our full stack coding course also offers options to fit into your schedule— with a full-time program for students who want to learn in a shorter time period, as well as a self-paced online program with 1:1 mentorship. These programs are offered through UCF Division of Continuing Education, in partnership with Trilogy Education Services, Inc. In both our full-stack web development and data analytics programs, students will create a solid foundation of skills to help them be competitive in these industries. A Certificate of Completion from UCF Division of Continuing Education, showcasing your accomplishment to future employers. A robust set of professional development services to help make you competitive as you work to advance or change careers. A comprehensive portfolio of projects to show your mastery of the web development or data analytics topics covered throughout the program.